High school junior Lauren considers herself lucky to have a boyfriend as perfect as Dave. He is a star athlete and as gentlemanly as he is handsome. Nonetheless, Lauren is anything but happy. 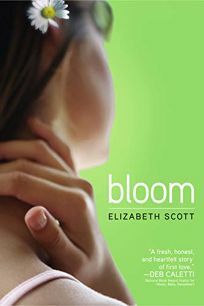 The reasons for her discontentment gradually unfold as first-time author Scott digs beneath the surface of a seemingly ideal romance to unveil a heroine who tries too hard to be perfect. The lacking passion in Lauren's relationship with Dave becomes palpable as she finds herself attracted to another boy. Evan isn't what most people would consider a ""catch"": he works long hours in a warehouse, comes to school with his arms streaked with grease and doesn't seem the least bit interested in the high school social scene. Yet when Lauren is near him, she feels a ""live current running between us"" that she doesn't experience with Dave. Self-reflective passages explore how Lauren's reluctance to break up with Dave and follow her heart stems from her fear of becoming like her parents: her mother abandoned her years ago and her father's romances always turn sour. Lauren's decision-making paralysis predictably leads to heartache and betrayal as many people get hurt, including Lauren's best friend Katie, whose personal problems could fill a novel on their own. The confession of Lauren's true feelings makes for a neat (if tearful) resolution; those seeking a romance with a complex, realistically flawed heroine will embrace this story of first love. Ages 12-up.